MAKING TAX DIGITAL (MTD) for VAT will be mandatory for your business! If you are registered for VAT and your taxable turnover is above the VAT registration threshold (currently £85,000), you must keep digital business records and send your VAT returns to HMRC using MTD-compatible software. For the vast majority of businesses this applies to accounting periods starting on or after 1 April 2019. 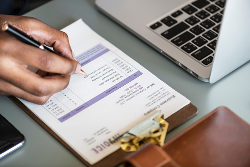 If your taxable turnover drops below the VAT registration threshold at any point after 1 April 2019 you are still required to continue to keep digital records and send HMRC your VAT returns using MTD-compatible software. This obligation doesn’t apply if you de-register from VAT or if you are exempt from MTD for VAT. Centro Systems Ltd has ensured its customers not only have the latest software, but also the latest updates and patches to keep their businesses running smoothly. With the impending legislation regarding VAT payments via MTD we are looking to HELP YOU with your accountancy package and any upgrades or configuration that need implementing to make you and your company compliant. Each case is different and there are other accounting packages not just SAGE. Initially all it will cost is the price of phone call to speak with one of our consultants who will be happy to advise you on what you require and the costs involved.